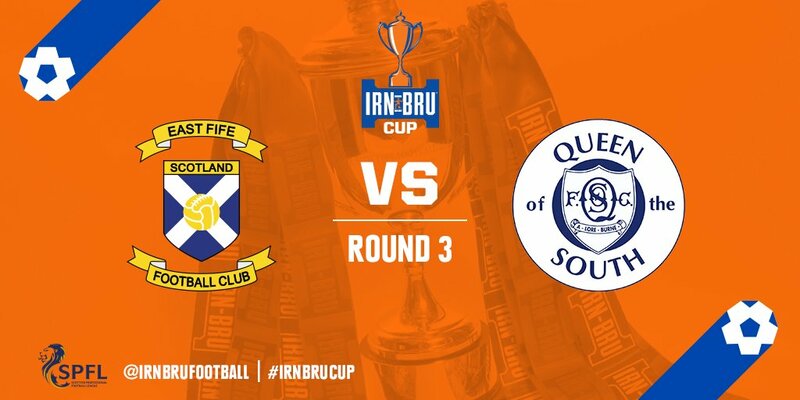 It's the last 16 of the Irn Bru cup this weekend and as we look to make it through to the quarter finals of the competition, we head to inform East Fife. Our most recent visit to Methill came in July this year when we played them in a pre-season friendly. Stephen Dobbie scored a double with Lyndon Dykes and Gary Harkins grabbing one apiece in a four - nil win. While our last competitive match against them came in April 2013 at the end of the 2012/13 season, Nicky Clark scored a double in a two all draw in the second division. In our four games that season, two ended all square with the other two narrow wins in our favour. The two sides faced each other in this competition in 2010 when Queens comfortably progressed with a five - nil victory at Palmerston. As he prepares Queens for the return to his former club, boss Gary Naysmith has been reflecting on last week's game against Alloa in the Championship as well as looking ahead to the game. "I said after the game against Alloa that I had mixed feelings about it and I would still say the same. We were well below our usual standards throughout the game and gave ourselves a mountain to climb which left me the angriest I've been with the players, but I still believe that there isn't many teams in the league that could come back from being three goals down to take something from the game so the players deserve a pat on the back for that. As a group we know that we can't continue to make the same mistakes and that we have to cut them out if we have any chance of achieving what we want to achieve. This weekend we head to a side who are very much inform. We will be favourites to progress but they are on a good run at the moment so it will be a difficult game for us and we have to give them the respect they deserve. However, it is a good opportunity for us to make it into the quarter finals of a national tournament. I am grateful to everyone at East Fife for giving me my start in management and I look forward to going back again but there will be no room for sentiment as we want to win the game and go on to win the competition. I do wish them every success but only after Saturday. Callum Fordyce continues to improve and played in the reserve game earlier in the week but we will be without Gary Harkins for this one after he left the field with a hamstring problem against Alloa". Kick off at the Locality Hub Bayview Stadium is 3pm.